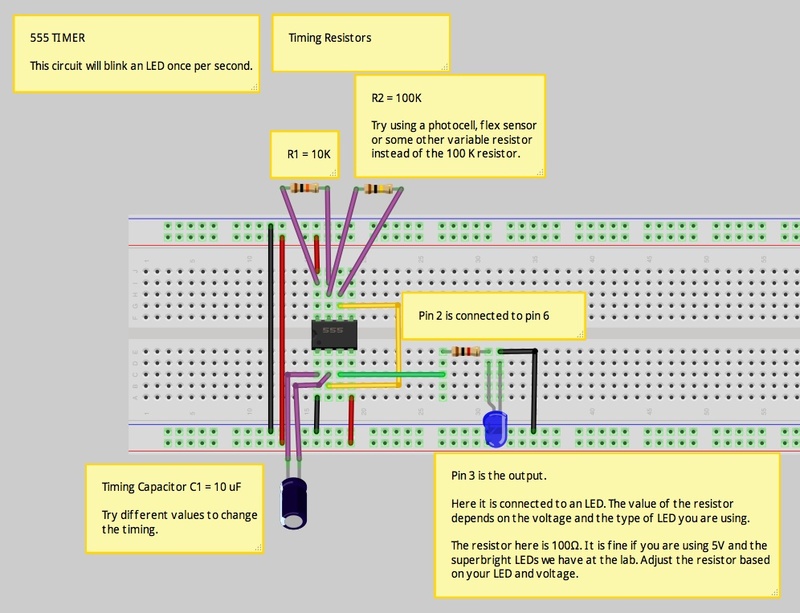 The 555 is a basic but very useful timer IC (integrated circuit). Bistable mode or Schmitt trigger: the 555 can operate as a flip-flop, if the DIS pin is not connected and no capacitor is used. Uses include bouncefree latched switches, etc. We have two types of 555 chips in the lab. The NE555P and the low-power TLC555.